As a beauty blogger I’m a sucker for some pretty packaging. Come on gals… we’ve all been there right? You’re not really sure about what’s inside but the cute packaging is enough for you to want to pick it up…. I’ve seen Perricone MD products all over Instagram for some time now and I’ve always been drawn to them just for their Instaworthy high end packaging alone. There is something quite chic about apothecary style jars and bottles I think. I’ve never had the chance to give them a go up until recently, when they asked if I would like to try out their new H2 Elemental Energy Collection. As you can see from these photos, the packaging of the H2 Elemental Energy Collection is completely different to most of their products, but no less chic. With sleek silver containers they are still just as gorgeous, and definitely worthy of that prized placed in your bathroom. 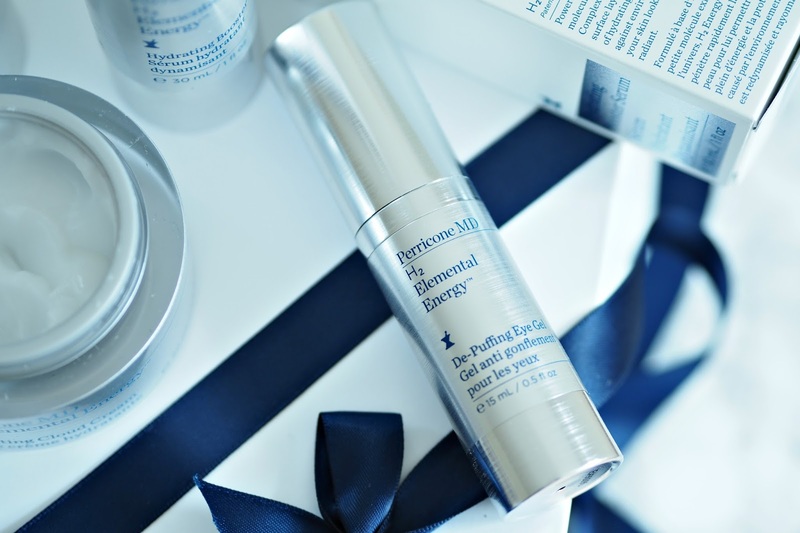 The Perricone MD H2 Elemental Energy Collection features H2 Elemental Complex™, which works to activate surface skin cells by and deliver a powerful boost of hydration. 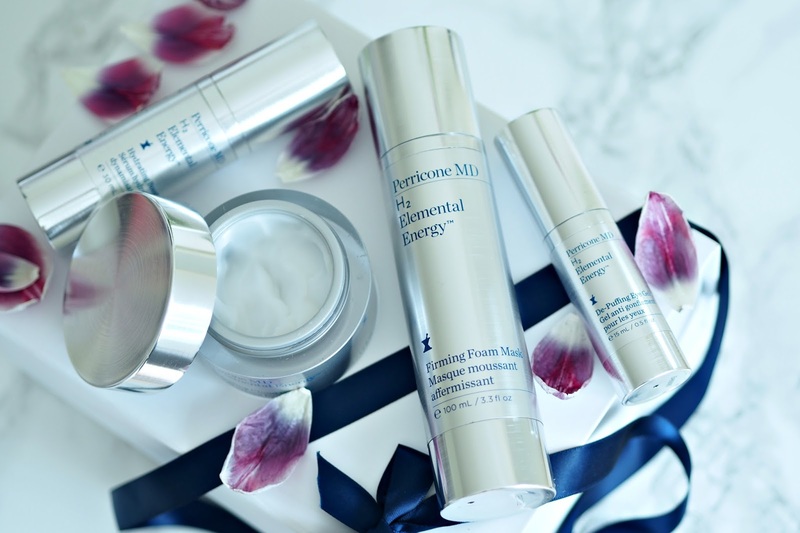 Perricone MD recommend this collection for combination, dehydrated and drier skin types which can certainly describe my skin – which is in constant need of moisture! It’s always thirsty! If you’re a regular reader of my blog you will know I also have very sensitive skin and I’m happy to report that none of these products irritated my skin at all. I was intrigued by this as soon as I saw it mention the word “foam”…. The Perricone MD Firming Foam Mask pumps out as a gel but quickly (within seconds) transforms to a white foam. You literally end up looking like you are wearing shaving foam on your face. I looked like Mrs Doubtfire which gave me a laugh – if you’ve watched the film you’ll know. 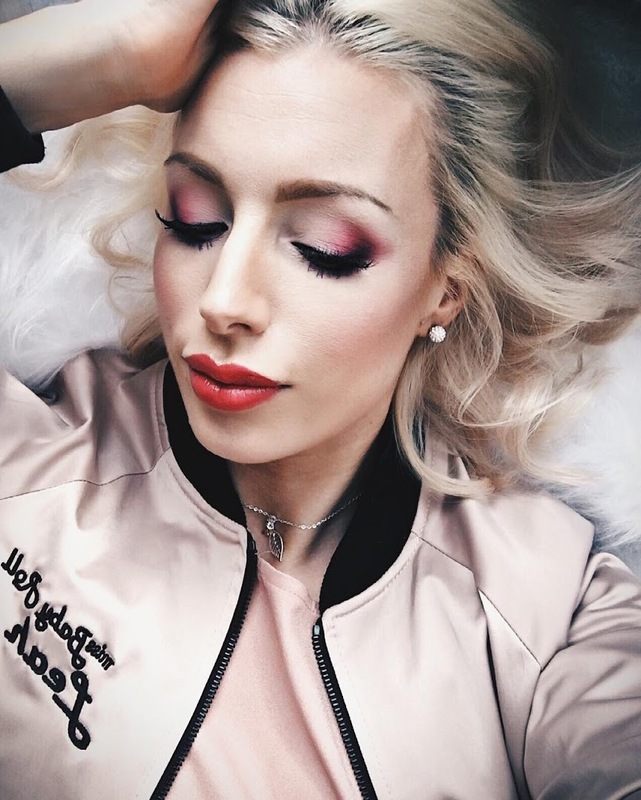 I love this face mask as it’s quick to apply, you only need to leave it on for 5 – 10 minutes and it’s easily/ quickly removed – unlike other face masks that dry hard onto the face. So for gals who are constantly on the run like me, it’s perfect! The results for me meant smaller pores (yas!! ), smoother skin which is generally a little bit more plumped. I wouldn’t say I found it to have any firming benefits but I liked it none the less for its other qualities. Definitely a fun one to try out too – just don’t get it up your nose like I did! 98% agreed skin felt smoother and softer. From my experience I agree that it’s incredible light, easily absorbed, refreshing and non greasy. As I say I have very dehydrated skin and found that in under 30 minutes of applying it my skin was tight and lacking in moisture. However, this is where the Hydrating Serum comes in (see below)…. After adding the serum to my routine I was able to wear this moisturiser without it causing any tightness. I’m probably on the extreme scale as my skin is severely dehydrated, so I’m sure this Cloud Cream would be more suited for normal, combination and maybe slightly dehydrated skin without the need of the hydrating serum. The cream felt very soft, silky and it’s been a pleasure to add it to my daily routine. Out of the whole collection this is Perricone MD’s star product for dehydrated skin! This Hydrating Booster Serum is a lightweight clear serum which is intended to be used twice a day under your moisturiser as a treatment to hydrate, plump and smooth dehydrated skin. 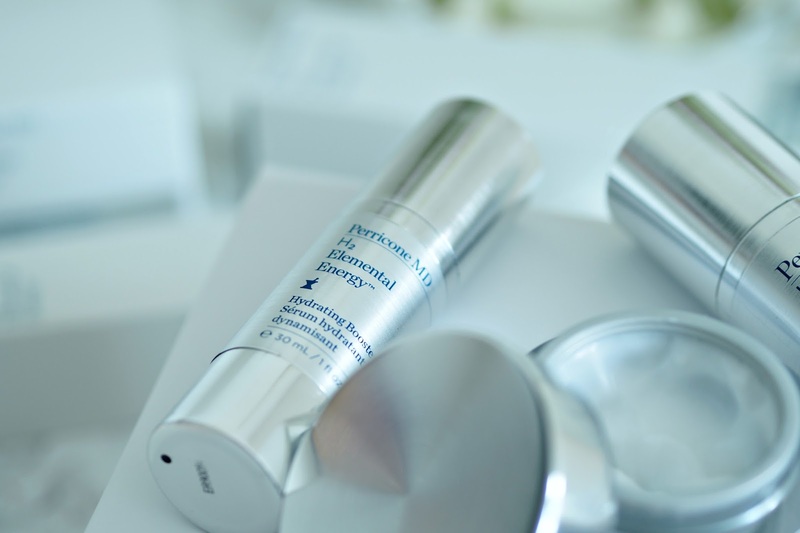 The H2 Energy Complex penetrates the surface layers of the skin with a boost of hydrating vitality so that your skin looks re-energized and radiant. I noticed a real difference using this product and if you read my thoughts on the Cloud Cream (above) you will see that I was only able to wear the cream due to this serum as it gave me that much needed hydration boost. A must if you have really dehydrated skin! I would say this De-Puffing Eye Gel is a mixture between a gel and a cream. It’s lightweight and soaks in quickly. I found it to be very moisturising and did help slightly with puffing. I didn’t notice any difference to fine lines or wrinkles, but I’ve never found a cream that does that yet! 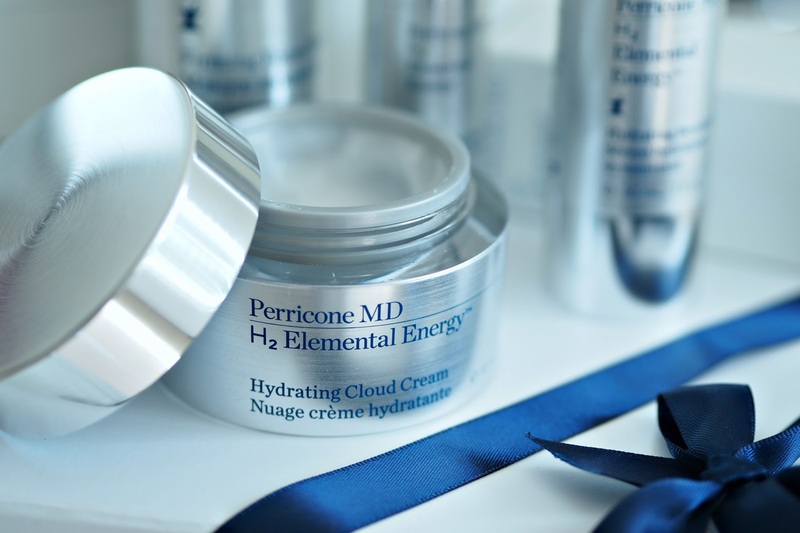 Overall I’ve been really pleased with the the Perricone MD H2 Elemental Energy Collection, but unfortunately it is very expensive. Prices start at £48 for the face mask and range up to £80 for the serum. If you are keen on trying these products I would suggest you opt for the Ultimate Hydration starter kit which contains miniatures of the Cloud Cream, Hydrating Booster Serum and De-Puffing Eye Gel and costs £65. That way you can see if you like them before investing in the big bucks. 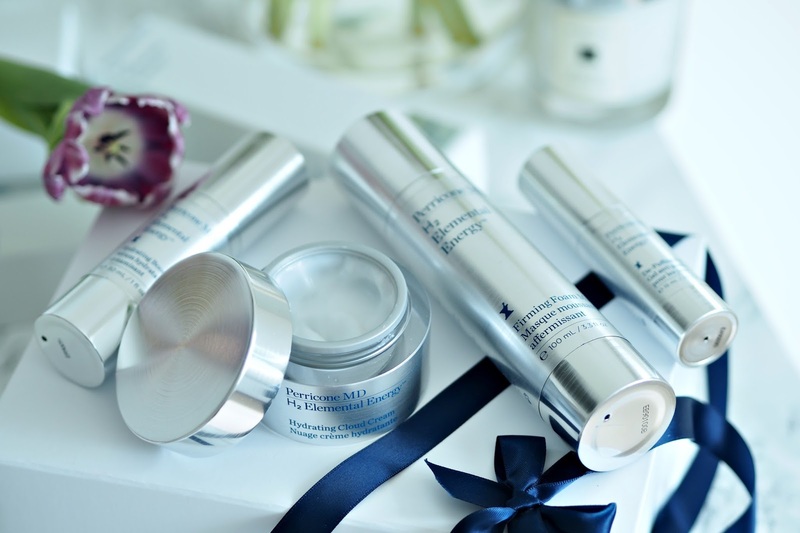 Have you tried any Perricone MD products? What would you recommend I try next?